The Hartford is debuting a technology platform designed to help cover U.S. companies in more than 200 countries through local and regional partners. Coface is launching new credit insurance coverage in Greece, following regulatory approval there. The Hartford said it is launching a network of insurer partners via a global technology platform. Through The Hartford Global Insurer Network, the insurer plans to offer coverage for U.S. companies in more than 200 countries through local and regional partners. 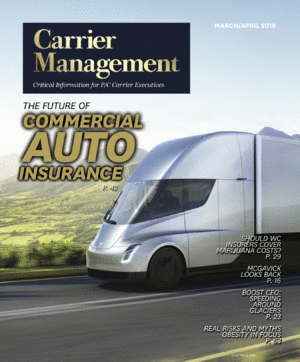 More than 80 local and regional carriers are joining the Global Insurer Network. Among the new partners: Aviva, which will service the needs of The Hartford’s customers operating in the U.K. and Ireland. Beyond offering U.S.-based customers local policies in foreign countries, The Hartford will service local U.S. policies for clients of its strategic partners. To facilitate this initiative, The Hartford has developed a cutting-edge, cloud-based network management and engagement platform, which will allow for a real-time collaboration among local partner offices in the network to track and service policies. The platform will provide a view into the underwriting, instruction issuance, claims information, account information, as well as tracking of key performance indicators by program, country and partner. The platform will be available for network partners on April 1 and will be available for customers and brokers later this year. Coface, a global trade credit insurer, is launching new coverage in Greece, following regulatory approval there. Coface said it is now able to strengthen its support to Greek businesses, by providing them with its recognized expertise in monitoring the credit-worthiness of millions of companies all over the world, and by protecting their commercial transactions. Because of the consolidation of public accounts and reinforced fiscal credibility, the country has been able to return to international markets and to partially lift controls on capital, Coface said. Greek companies have become more competitive, have reduced their debt and are now more export-oriented. This has fostered development of new sectors and allowed the productive fabric to evolve, according to the company. Brand Management & SalesCommercial LinesGlobal EconomyIndustry NewsInternationalLeadershipMarketsNewsStrategyThe C-SuiteU.S.